Funko BLOX! 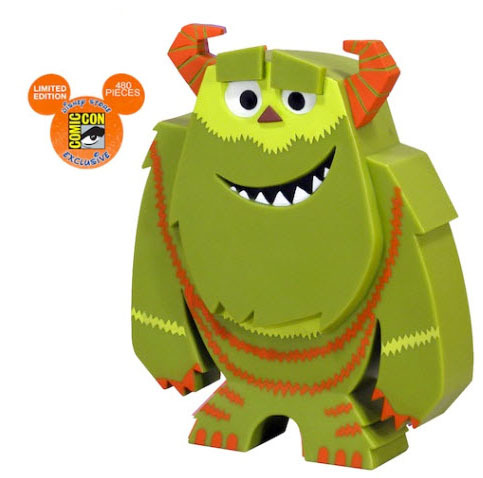 Sulley San Diego Comic Con 2012 exclusive! This figure stands at about 9" tall and was limited to only 480 pieces created. Don't miss your chance to get a collector’s item that will stand that test of time. This is a must have for any Funko, Pop, Vinyl Figure, or Disney collector! All of our Funko products are unopened, in factory packaging. Never played with and stored safely; you can be sure that you will get a quality figure in a well stored box. These Sulley figures look factory new! Again, these were limited to a production of ONLY 480 EVER CREATED. Once our stock is out, it's gone forever. This figure is not only a collector's dream, but also great as a gift for that special Disney fan in your heart. And Blox look great on your office desk, wall, or display mantle. They bring cheer to any room, and are great conversation starters. All figures shipped by us will be shipped safely and securely, padded so that you don't have to worry about shipping damage. We are collectors ourselves, so we ship out figures the way we'd want to receive them.